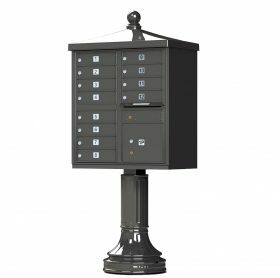 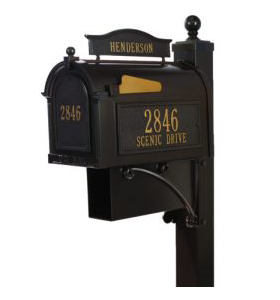 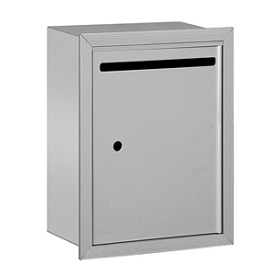 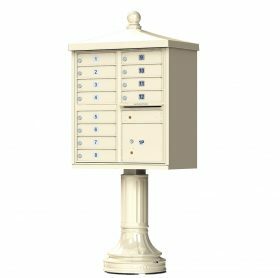 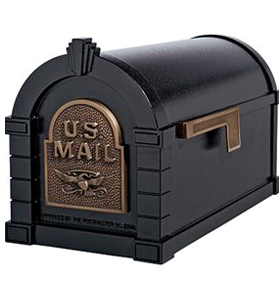 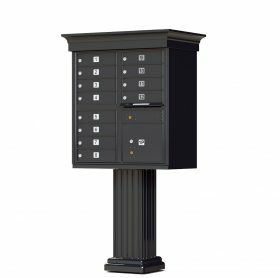 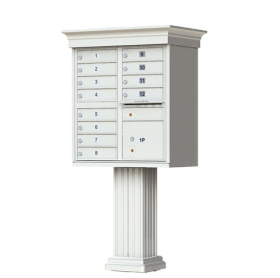 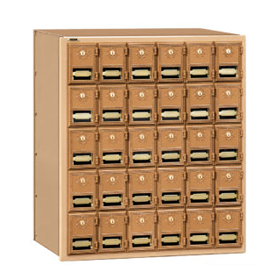 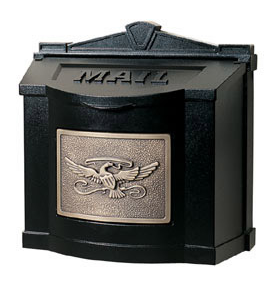 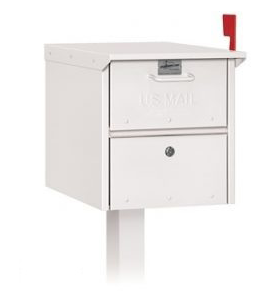 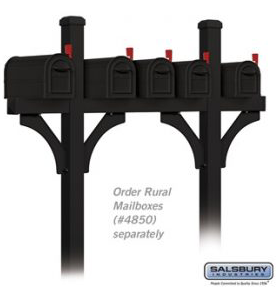 WE GUARANTEE THE LOWEST PRICES ON DECORATIVE CLUSTER MAILBOXES! 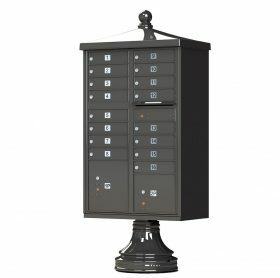 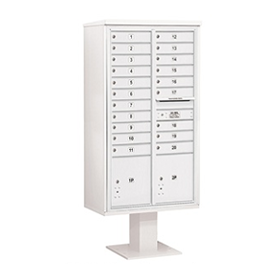 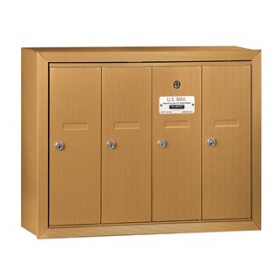 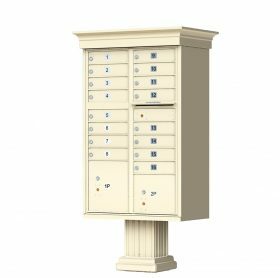 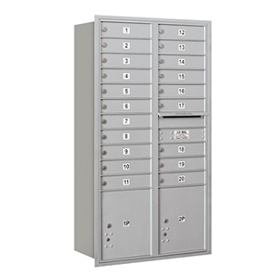 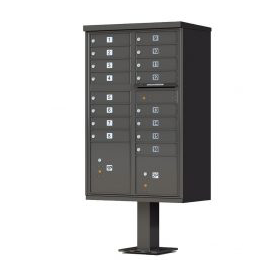 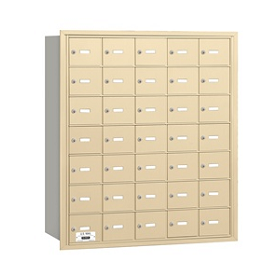 High security, decorative cluster box units (CBU's) are made of heavy duty aluminum and preconfigured with locked compartments, parcel lockers, and a secure outgoing slot for mail collection. 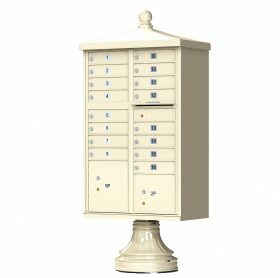 Each Florence and Salsbury decorative cluster box unit includes a decorative top and pedestal cover to place the final touches on your centralized CBU. 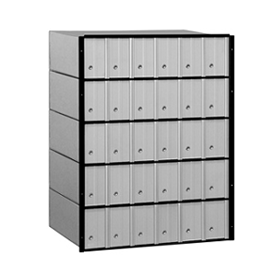 All units are USPS APPROVED and available in 4, 8, 12, 13 and 16 door configurations ONLY. 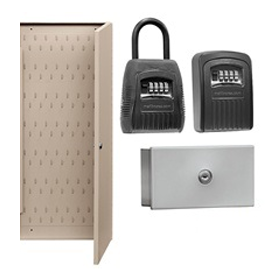 If these do not exactly match the number of tenant doors needed, purchase the next size up and there will be extra doors that can be left vacant or used in the future if necessary. 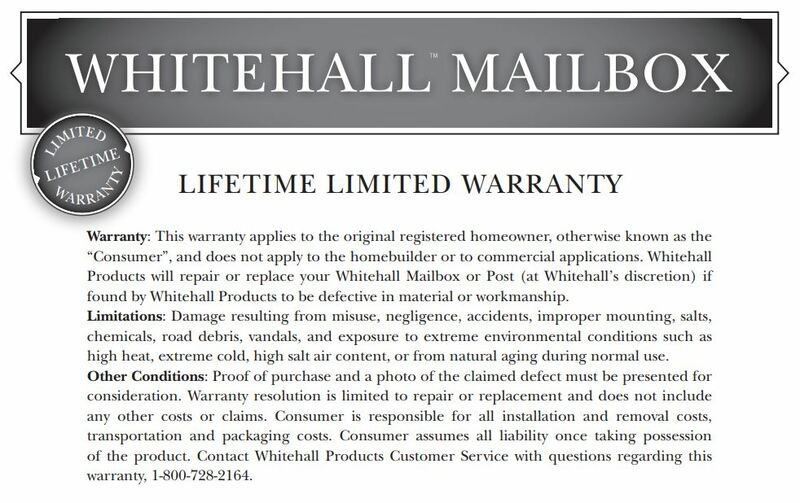 Please don’t hesitate to call or chat with one of our mailbox specialists if you have any questions. 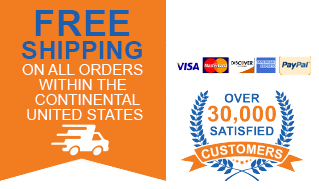 Thanks for shopping with us!